Archery is a sport that involves the use of a bow and arrow, This sport is hundreds of years old and is even featured in the Olympics. 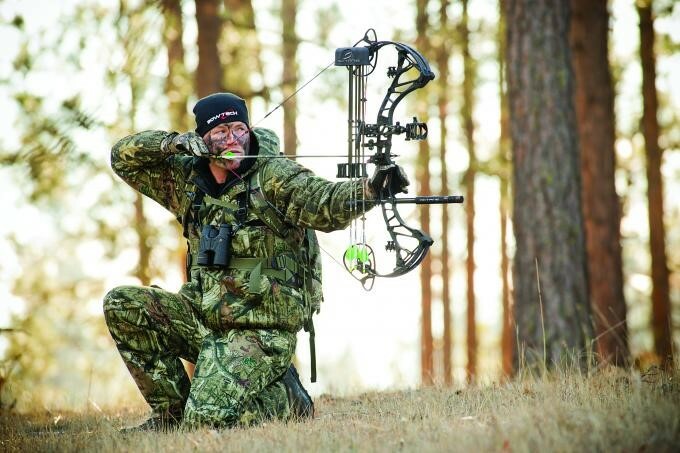 The actions in archery utilize several main muscle groups in the body, including the triceps, which sit at the back of your upper arm, the deltoid muscles in your shoulders and the latissimus dorsi muscles in the lower back. 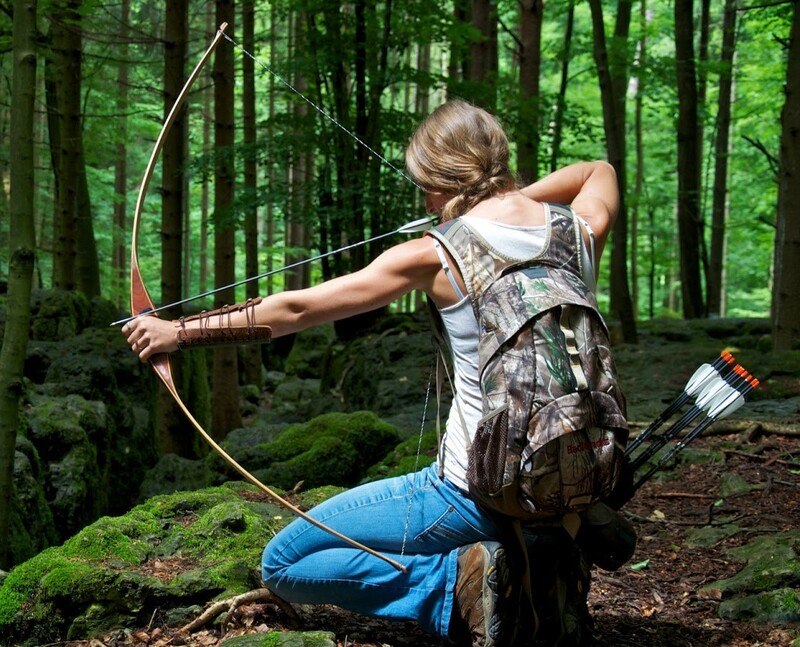 To improve your archery skills, include exercises that target these muscles in your workout. Dumbbell one-arm lateral raises strengthen the deltoid muscles, which are used to provide strength and power for holding and pulling back the bow in archery. Stand straight with your feet shoulder-width apart, your right hand holding onto a stationary object on your right and your left hand holding a dumbbell straight down so it’s resting in front of your pelvis. Slowly raise your left arm up to the side, continuing until your elbow is at shoulder-level. Lower it back down, repeat and then switch arms. Spending time on the rowing machine is well worth it if you want to improve muscles for archery, because it works all of the primary muscles used in the sport including the deltoids, latissimus dorsi and triceps. Sit on the seat with your feet strapped in securely. Keep your back straight and hold onto the handle. Slowly push off with your feet, sliding back until your legs are almost fully extended. Return to your starting position and repeat. The overhead triceps extension is one of the most effective exercises for the triceps muscles. Stand straight up with your feet close together, one slightly in front of the other and both flat on the floor. Extend your arms fully above your head, grasping the top of a dumbbell with both hands. While keeping your upper arms beside your head, slowly flex your arms, lowering your forearms behind you toward your back until you feel a light stretch in your triceps. Raise your arms back up above you to complete one rep. Repeat. 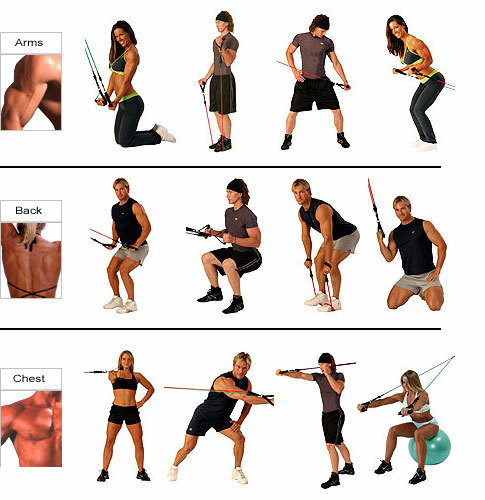 The barbell pullover exercise targets the latissimus dorsi muscle in the back, but it also works the triceps and deltoids, making it an integral muscle exercise for archery. Lie your upper back perpendicular on a flat weight bench, your legs bent in front of you on a right angle with your feet flat on the floor. Grasp a barbell, position your arms so they’re extended straight above you and keep your hands aligned with your shoulders. While keeping your arms straight during the movement, move your arms back in a slow, controlled motion, until the barbell is directly behind your head. Then, return to your starting position. Repeat. The latissimus dorsi is the largest muscle of the back and is one of the main muscles in the body used in archery, primarily during the drawing motion of the bow. Lat pulldown exercises are most effective for targeting this muscle, so try the cable close-grip pulldown. On the seat of a lat pulldown machine, place your feet flat on the floor below you and position your hands above you while grasping onto the parallel cable attachment. Engage your core, pull down on the cable attachment and then return it until your arms are fully extended. Repeat. Even with all the right exercises, if you’re not using the right amount of weight or completing the proper number of sets and reps, you’re not going to get the results you’re hoping for. Start off with a weight you can manage, and only increase the amount of weight you’re using when you can complete a full set of 12 reps while maintaining proper form the entire time. Gradually work up to completing three sets of 12 reps.